The Agitprop Stage | A Precarious Independence…. Marxism and Mao never DID get on well together. But this is no news. What needs more attention is not who his first-phase constituents WERE NOT (urban workers/proletariat), but who they WERE. There is already a degree of evasion in the early-on use of the facile “Peasant Rebellion” (nongmin qiyi) designation. Starting with the chapter-opening “Autumn Harvest Uprising” 秋收起义 of Sept. 1927, a widely fragmented series of confiscatory and or revanchist acts of violence spread across seven pockets dispersed across three (?) different provinces – Hunan, Jiangxi and Hubei, there was a good deal of unorganized, truly spontaneous backcountry violence too widely discontiguous to be explained by any single command or plan. The key tag in all of the narratives is the almost ubiquitous binome 土匪, lit. “territorially [embedded] banditti”, the more revealing word being “tu”. Like many but not all political descriptives used to identify a tension, it can be read, as it were, from top down (elite view) to bottom up (indigene view). From the elite or government point of view, it meant territorially confined and attached, always to small stretches of out-of-the-way, hard to reconnoiter terrain. The perimeter might or might not include settled villages, though it was only when such settlements were within the “territory” (tu) that the potential for insubordination became serious. There were also, however, standalone “embedded bandits” in the flatcountry of North China who took advantage of tall-stalk crops’ natural cover to plant themselves near lesser roadways or trails and waylay isolated travellers (merchants). In essence toll-collectors. These were (literally) The “heroes” of the brush/bushes (caomang), much storied in vernacular literature because, like the gunmen of the Ol’ West, they were true survivors. Prolonged scandal and violent clashes of personality are perhaps more than the norm for or within theatrical productions of any sort; if so, the fate of Shaoxing Opera in its various Shanghai does not disappoint. The eddies of scandal swirling about the suicide (?) deaths of Ma Zhanghua and Xiao Dangui were grisly, but they were soon forgotten. Not so the 30 odd years’ of battling over playscript text and editorial authority that divided Yuan Xuefen’e Xuesheng (Yueju) Company from the rival 东山越艺社 (Dongshan Shaoxing Opera society) led or dominated by Liu Nanwei (1922-1989), the original script editor and link-personal to the “progressive” (read fellow-traveller) intellectuals associated organizationally with Tian Han, Xia Yan, Hong Chen and Ren Guang and with the League of Leftwing (huaju) playwrights (中国左翼戏剧家联盟)from as early as the late 1930s and well on into the first decade of PRC rule. Not unlike so many other prolonged antipathies birthed during the early days of the People’s Republic, there were undoubtedly one or several strands of personality dis-synch dividing the parties: in this case so powerful that it became a hereditary friction coming to climax in 2011 only after Nanwei’s two children were forced to drop a copyright infringement suit they had launched against the Shanghai Yueju Arts “Academy” (qua Yuan Xuefen) in 2008 (not even the termination of the suit has stopped blogchatter of a still vitriolic nature..). 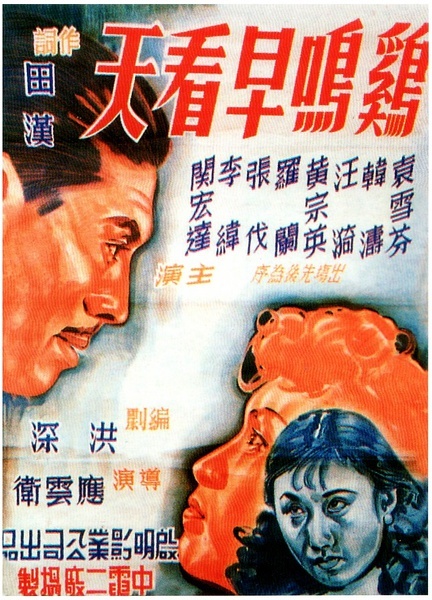 If we can back away from the daily grit and try to place the struggle in genre-evolution context, however, another view becomes persuasive: i.e., that the anti-Yuan resentment of Liu Nanwei and freres had much to do with the impact of the Silver Screen, which had had little to do with “minor” regional opera until around 1947, when the (peripheral) Qiming (1948) and 文华影片公司 (1949) studios saw the potential and jumped into the business of xiqupian (filmed opera) for purely commercial reasons. Even the chaos the 1949 regime change did not stop the building craze for (now) color-filmed opera segments, which, only two years after Liberation, coalesced (1953) into a two-hour 12-act monument of Shaoxing opera-in-film, “Liang Shanbo and Zhu Yingtai” (I have uploaded the full film with English subtitles for those interested – I suggest having a look before moving on because a lot of what I pose or suggest for analytic consideration derives from a close viewing of that monster production, also China’s first feature-length, multi-Act 35 mm color film, period – though a short color film of Mei Lanfang in 生死恨 was produced in 1947 by Fei Mu’s 上海實驗電影工廠, a year earlier ). 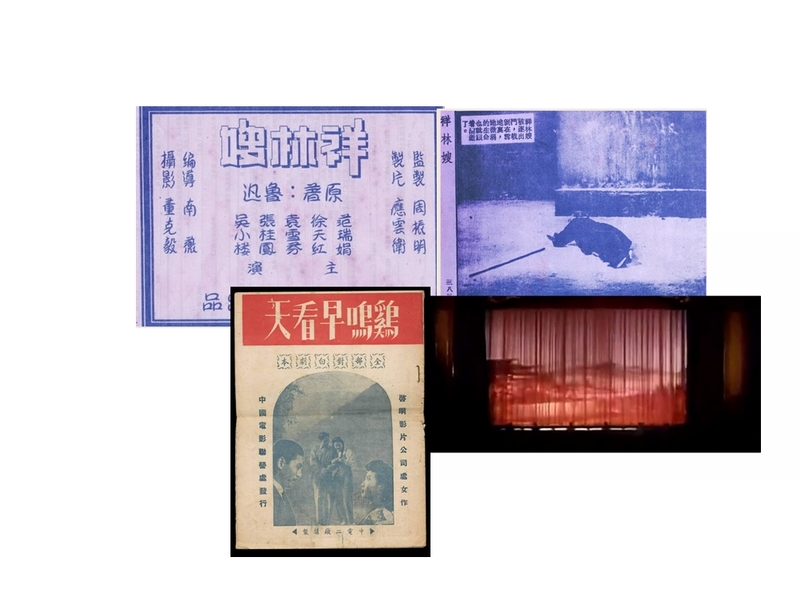 When Yuan’s Xuesheng Company was granted audience at the Huairentang “little” palace in autumn, 1949, they did not just perform: they brought with them a copy of a 1948 film based on Lu Xun’s Zhufu, as well as a 1949 film anthology of 4 Yueju operettas. Since that turning point, mainland audiences’ familiarity with Shaoxing opera has, at the margin, come from film, not live performance. Happy coincidence. Just as I was (yesterday, Jan 5) reviewing the obviously awkward male combat moves from the Feb. 2010 CCTV New Year’s Gala, billed as a face-off with “dancers” (meaning of course women gyrating their long sleeves) who of course fared much better, I stumbled upon an unattributed newspaper op-ed piece rueing the failure of “classical” dance to give play to the “knight-errant” (xiayi, solo- heroic) spirit once upon a time at the core of that art form. (Though when historically this was the case, and in what great works this might have been so, is not specified). (http://www.880du.com/index.php?m=content&c=index&a=show&catid=26&id=2112). No, I’m not inventing these phrases, or diminishing the seriousness of the threat felt by the editorialist, who obviously is writing from a Party (official culture) point of view sensed as unpopular, but needing to be stated (anonymous contributors very often mask themselves – testing the waters. With the ultimate target surely the Beijing Dance Academy, whose female grads seem always to walk away with the top prizes. 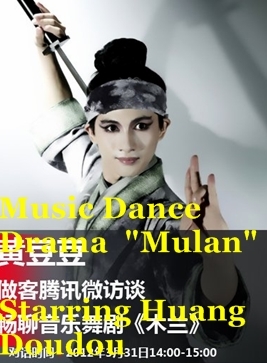 (It is their star danceuse, Wang Yabin (see …), who we see dancing an unenthusiastic pas de deux in our frontispiece). While none of its male soloists have gotten beyond Class 2 awards.